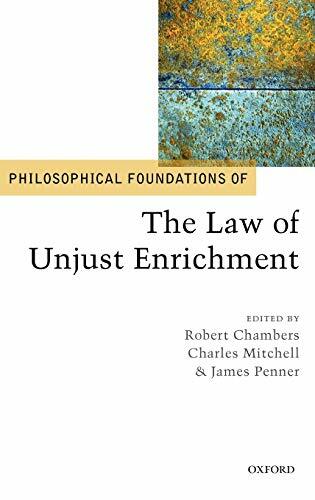 This volume takes stock of the rapid changes to the law of unjust enrichment over the last decade. It offers a set of original contributions from leading private law theorists examining the philosophical foundations of the law. The essays consider the central questions raised by demarcating unjust enrichment as a separate area of private law - including how its normative foundations relate to those of other areas of private law, how the concept of enrichment relates to property theory, how the remedy of restitution relates to principles of corrective justice and what role mental elements should play in shaping the law.